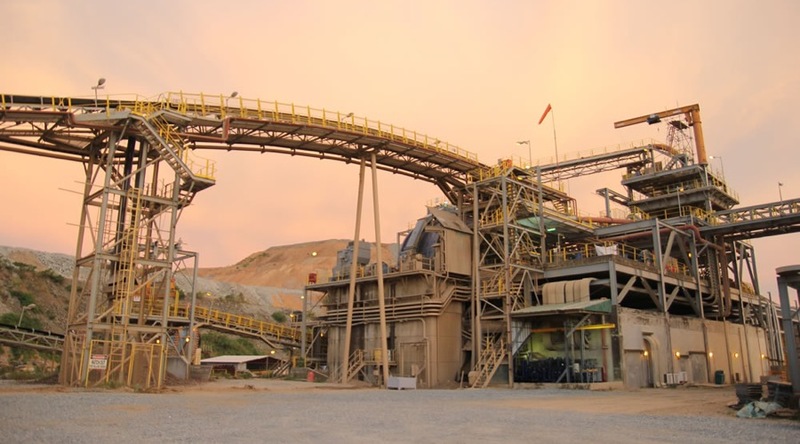 Mid-tier gold producer B2Gold (TSX:BTO) has had an excellent start to the year, producing more gold at lower costs than expected from its four mines in the Philippines, Namibia and Nicaragua. Sharing its first-quarter results yesterday, Vancouver-based B2Gold reported total gold production in Q1 of 132,736 ounces, which was 4% higher than the year-ago quarter and 6% above targeted production. The Otjikoto mine in Namibia was a standout, cranking out 42,774 ounces, beating expectations and Q1 2016 figures by 20%. The company's Masbate mine in the Philippines also did well, producing 52,562 ounces, 5% above budget. All-in-sustaining costs (AISC) from all four operations were down by 23%, to $889 an ounce, and comparable with the year-ago quarter. B2Gold managed a slight increase in gold revenues compared to the first quarter of 2016, at $146.3 million, with gold prices averaging $1,219/oz. This compared to Q1 2016, which pulled in $144.3 million at an average price of $1,193/oz. However B2Gold reported lower cash flow in Q1 due to the timing of shipments, noting that in the year-ago quarter, the company received a $7.5 million increase in inventory. This quarter, cash flow from operations was $39.6 million versus $171.6 million in Q1 2016. The bottom line was a net loss of $4.6 million in the first quarter compared to $6.7 net income in the year-ago quarter. Shareholders likely reacted to that figure after digesting the results, with the stock down over 6% in mid-morning trading in Toronto. Meanwhile the company continues to make progress on its plan to bring the Fekola project in Mali online by October 1st. The gold mine which B2Gold acquired through a merger with Papillon Resources in 2014 is expected to produce between 375,000 and 400,000 ounces annually for the first five years, and has a minelife of seven years. According to the company, Fekola is around three-quarters complete, including civil earthworks and process plant construction. For full-year 2017, B2Gold is projecting production of between 545,000 and 595,000 ounces (including estimated pre-commercial production from Fekola of between 45,000 and 55,000 ounces). AISC are expected to be between $940 and $970 per ounce.